At California Energy Services, we're committed to offering you the best of the best when it comes to heating and cooling your Sacramento area home. We're proud to offer superior Bryant products to our customers, which are known for their high efficiency and ability to deliver lasting home comfort. Whether you want to upgrade to a new, energy efficient furnace, need an annual tune-up for your Bryant air conditioning unit, or are considering installing a ductless system from Bryant, our experts are ready to help you optimize your heating and cooling systems. Bryant heating and cooling systems are known for their superior quality. Air conditioners from Bryant can have a SEER rating of 19 or more and can be controlled from almost anywhere, meaning you’ll be comfortable 24 hours a day. Bryant furnaces, meanwhile, offer an AFUE rating as high as 98.3% and come with innovative features such as variable speed airflow and Perfect Heat® technology to keep your home comfortable year-round. Mini-split heat pumps from Bryant offer the highest efficiency and performance available, and they can work seamlessly with your furnace and air conditioner for optimal home comfort. If you want to reduce your home’s energy consumption while ensuring consistent home comfort, it’s time to consider a heating or cooling solution from Bryant. At California Energy Services, our technicians have extensive experience with Bryant products, including central air conditioners, gas and oil furnaces, and mini-split heat pumps. With top-quality installation and expert repair and maintenance services, we know how to help you get the most from your new Bryant heating or cooling system. Whether you’re curious about Bryant heating and cooling prices, are considering a rooftop unit from Bryant, or are wondering which Bryant equipment will best fit your home, don’t hesitate to ask one of our experts. 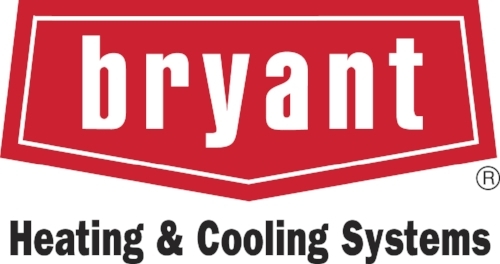 Ready to see what a Bryant heating or cooling solution can do for your home? Call (916) 737-1107 or contact us today to schedule a consultation! Moving into a new California home brings a fresh start. As you check out new schools and local coffee spots, don’t forget to check your home’s furnace, air conditioner, and insulation! Trust the local experts at California Energy Services with your home performance needs, from Citrus Heights to Placerville. The holidays are fast approaching. You may have time off scheduled and might be having family and friends come to stay. While you may be ready for a break and some quality time with your loved ones, your home may not be prepared. Ever wondered what the heck SEER means? As the temps soar from Citrus Heights to Placerville make sure you know your AC terminology. It’s important that you’re comfortable inside your home this summer, so don't get stuck with an underperforming AC! At California Energy Services, we know air conditioning and can get yours in top shape for the heat.